LISA KINGSLEY is an independent designer from Chicago. Her path into fashion began when colorful Batik clothing she designed on a trip to Bali, landed in the hands of Madonna + sold out at Fred Segal Melrose. Since then, Lisa has been drawn to combine the skills of craftspeople with modern design and launched niche fashion brands that appeal to clients looking for unique, beautifully crafted goods. KINGSLEY INITALLY launched as a small batch handbag collection, rooted in a soulful, modern aesthetic. The use of natural materials + a Wabi-Sabi feeling define the look. Authenticity + an intimate connection to the Artisans who craft LISA’S designs, are central to her brand philosophy, along with HER BELIEF THAT the STORY of an OBJECT creates the experience & value of owning it. In 2013, Lisa opened a studio in San Miguel De Allende, Mexico in order to expand her collection to include handmade jewelry. A year later, she designed the premiere Kingsley store, KINGSLEY MARKET, to offer clients a distinct retail experience for the KINGSLEY brand. Interior aesthetics were layered with sensory communication throughout the space, from the scent of native Copal to the touch of textures & fabrics. 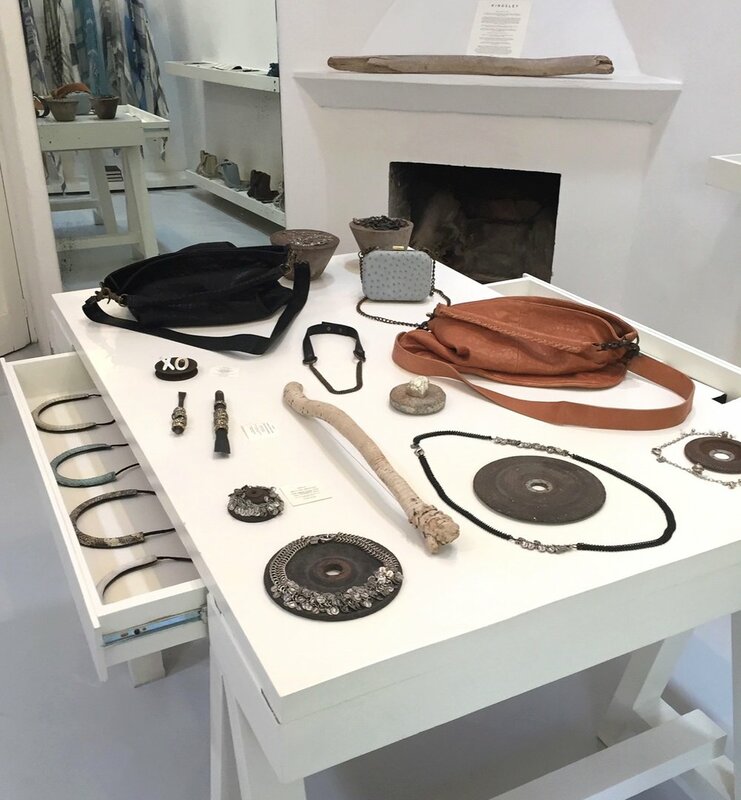 International visitors discovered expertly crafted Kingsley objects & learned ABOUT THE PROCES OF CREATING THEM. After 5 years in Mexico, new opportunities to evolve Stateside presented and Lisa moved back to the US. In 2019 Kingsley products will become available everywhere via a new e-commerce platform & new retail locations. Over the course of Lisa’s career, she has been widely recognized for her design work including being chosen for the "VOGUE 100" group of inspiring women in fashion and business, by US Vogue Magazine. She was presented with FGI'S "Rising Star" award and is featured in publications like: Vogue, Teen Vogue, WWD, Elle, Bazaar, The New York Times T Magazine, Refinery 29, Time, W + In Style. A few of the celebrities who have worn Lisa’s designs include Madonna, Gwyneth Paltrow, Angelina Jolie + Oprah Winfrey. Her collections have sold through over 250 retailers world-wide including Bergdorf Goodman, Neiman Marcus + Saks 5th Ave.
Lisa attended The School of the Art Institute in Chicago for Fine Arts + The Art Center in Pasedena for Film school. She was a Merit Scholar Recipient + was granted an Artist-in-Residency at Ragdale Foundation for screenwriting. Lisa has lived in Chicago, LA, NYC, Brooklyn, Bali & Mexico. She mentors young Entrepreneurs in the start-up phase of business, is an advanced diver, world traveler, daily meditator of 25 years & still wishes to make films. She values long friendships & is obsessed with her adopted dog, Tickles. Have a question for Lisa? Are there topics you would like to read about in mailings? If so, please drop a line or suggestion here.